First up, how is it possible for dealers to use massive rebates if they aren’t advertised? A dealership near me has a demo 2018 Charger SRT 392 with just over 10,000 km on the odometer. They have it listed for $44,000, which is about $4,000 below wholesale value. They have a brand new 2018 model on the lot in the exact same configuration on sale for $59,305, which is $5,600 off MSRP. The dealership is advertising that this is due to a factory incentive from Dodge. When I check the Dodge Canada website, there is no indication that there are manufacturer incentives on the 2018 Challenger or Charger line-up. However, I notice that all the dealerships in the area are offering $4,000 to $8,000 off their remaining 2018 Challengers/Chargers. How can they do this? Excellent question, and this topic comes up frequently. There are essentially two kinds of rebate programs. The first is an up-front advertised rebate that the customers know about, such as “$1,000 customer cash on all new Dodge Chargers.” You know that the factory will give you a $1,000 discount off the top even before you negotiate a price with a dealer. The second kind of rebate is a tricky one, it’s called dealer cash. I covered this topic briefly in a previous post. Basically, if the manufacturer sees that there is a lot of old inventory in a certain region, dealers may get an infusion of rebates on the back end called “dealer cash” to pass on as additional savings. The interesting thing about these rebates is that they vary from region to region, and from dealer to dealer. Some stores may get more, some may get less. And the dealers can use them at their discretion, meaning they are not obligated to pass on all of the savings to you. 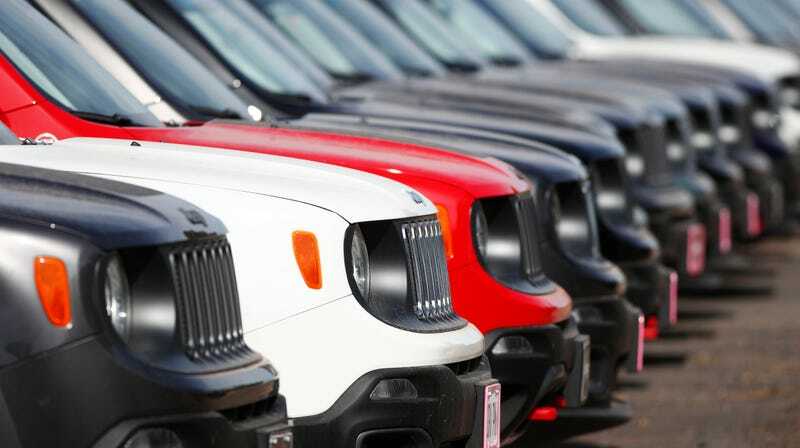 However, dealers that are sitting on old inventory want to move those units out, so they are likely going to throw as much cash as they can at those cars to get them sold. This “dealer cash” is often how dealers are able to sell cars thousands of dollars below their invoice cost, where normally that “loss” on the car just wouldn’t make sense from a business perspective. This hidden rebate program is another reason why it’s key to comparison shop and even get quotes from beyond your area, but always make sure you have a clear picture of the pricing before you sign the papers. Next up, what do I do with a car that I won as a gift but don’t need? “I have a strange question that perhaps you could answer. I won a 2018 Nissan NV200 van. Its a base model (MSRP $23.6k) without any real options. It currently has 10miles on the odometer and has only been titled (no registration or insurance). My question is, what do I do with this thing? I have no use for it as a company vehicle. There is no stipulation that I have to keep it. I tried selling on AutoTrader for $18k without a single grab (1 month). Are my only options to take it to CarMax or another dealer for trade-in? What dealer will give me the best trade in value? This is certainly an interesting conundrum. If the car is not insured you probably don’t want to drive it around and risk getting a ticket and because it is a commercial vehicle finding a private buyer could be a challenge. I would suggest looking into those startups like Carvana and Vroom. Both outfits are always looking for lightly used inventory to add to their fleet and they have an online portal that will evaluate your car and give you a number. If you like their offer, they will show up with a check and take your car away. Finally, could leasing be a good idea for older drivers? “My mother is turning 75 this year. She currently drives a 2004 Toyota Highlander which has treated her very well. Her interest in a new car revolves around two main items, having the newest safety features and avoiding the repairs that invariably come with an aging vehicle. The lease vs. buy question is always tricky and despite that most folks on the internet want to get on their high horse and tell you that leasing is the dumbest financial decision you can make, the reality is a bit more complicated. Buying a car is only really financially beneficial if the owner plans on keeping it well beyond the point at which the loan paid off. Folks that buy and trade in every three or four years are likely better off leasing. It seems that your mom could be a good candidate for leasing because she doesn’t drive an excessive amount of miles, wants newer safety features, would prefer a lower monthly payment that is probably more comfortable for her budget situation. Are CarMax Cars Really Worth the Price Premium?